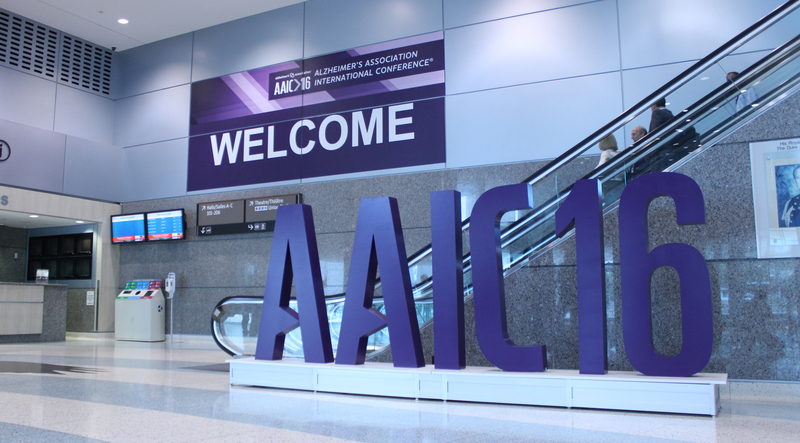 The Alzheimer’s Association International Conference (AAIC) 2016 was a huge success with over 5,000 attendees representing more than 70 countries! 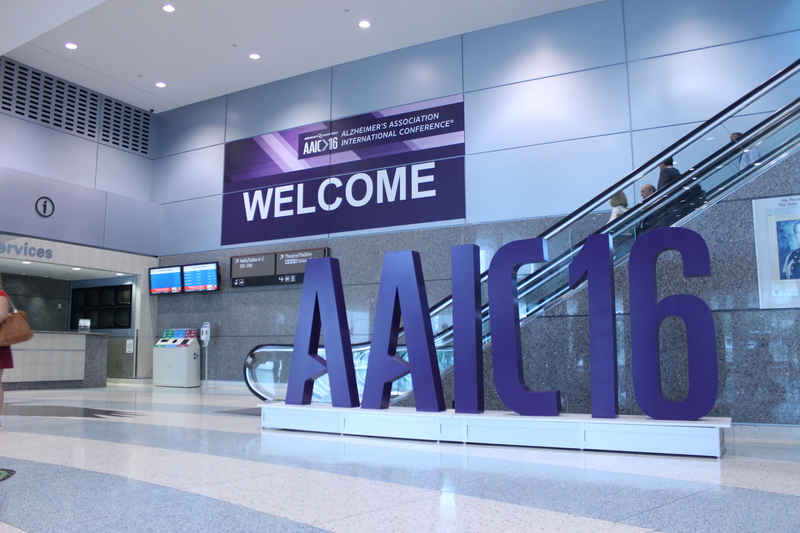 A forum to discuss the latest in dementia related research, the annual (and largest worldwide) conference dedicated to Alzheimer’s disease and other dementia’s took place in our very own, Toronto, Ontario from July 22nd to 28th, 2016. 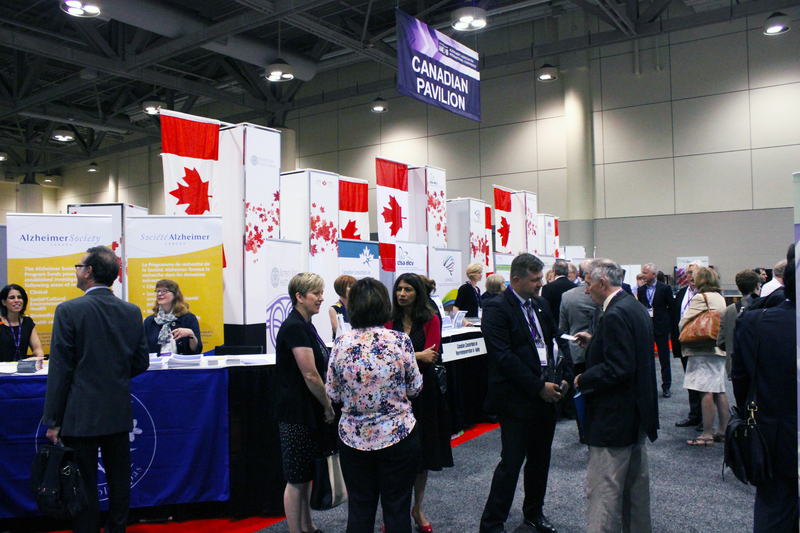 The Alzheimer Society of Ontario, with our partners at the Ontario Brain Institute, hosted a tour of the Canadian pavilion during AAIC 2016. The tour was an opportunity for us to showcase Canadian and, particularly, Ontario research and to build momentum for the Ontario Dementia Strategy with key decision makers and political influencers in attendance, such as Dipika Damerla, the minister responsible for Seniors Affairs, as well as representatives from the Ontario Ministry of Health and Long-Term Care. With the presence of Senator Art Eggleton, Deputy Chair of the Senate Committee of Social Affairs, Science and Technology, the tour also served to increase awareness for the need for a National Dementia Strategy. The Ontario Dementia Strategy will serve to help communities across Ontario affected by dementia, and the presence of so many influencers is a great benefit to raising awareness for this important initiative. Overall, both the conference and the Canadian pavilion tour had a great turnout and were very well received by all attendees. It was wonderful to see so many interested in learning more about the issue of dementia and some of the substantial work and progress in the field being made right here in Ontario and across Canada. This is a big stride towards greater knowledge, understanding, and initiatives in support of people living with, and affected by, dementia. We are so proud of the Canadian and Ontario research presence at this conference, as well as the strong public interest in dementia. We encourage you to continue the conversation about dementia and advocate for a Dementia Strategy to help support your fellow Ontarians living with and affected by Alzheimer’s disease and other dementias. You can become a Champion for Dementia by contacting me at lrettinger@alzheimeront.org. Want to learn more about the Ontario Dementia Strategy? Check out our website here. Exercise Your Brain With The #SummerChallenge!